Nordea Bank S.A.’s Marbella Representation Office has been busy ‘transferring’ millions of Euros worth of Spanish property to Luxembourg, a tax haven in the heart of Europe. The scheme, know as the ‘Managed Capital Plan’, consists in a ordinary mortgage loan offered by Nordea on their unencumbered homes and the investment of the loan in Luxembourg. Now, for the first time, those millions of Euros worth of tax evading mortgage loans (according to the Spanish Tax Office) have an owner. 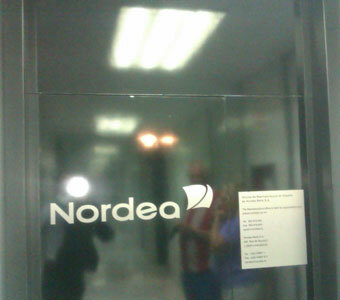 ERVA has had access to a list of property owners in the Marbella area who bought into the Nordea’s scheme. The list was provided to ERVA from a confidential source and has been compiled by accessing Marbella public land registries. The list includes Marbella property owners who bought into the scheme, for how much and when. It also establishes the date when the property was bought, as opposed to when the loan was taken. One notable client of Nordea is the current Mayor of Marbella, María Ángeles Muñoz, who alogside her husband took out a loan against their company Crasel Panorámica S.L. The disclosure of the information became a regional scandal. The Spanish Tax Authorities have stated that using mortgage loans, not invested in the purchase of property, for the purpose of reducing the taxable value of the property with respect to Inheritance Tax and Wealth Tax, as Nordea’s Managed Capital Plan formula promised, is Tax Fraud. List of Owners, Properties, Date of Purchase of Property and Date of Mortgage Loan. Important Note: The Spanish Data Protection Agency, in a ruling of the 20/12/2006, has stated that the publication of data obtained from Land Registry sources in a TV programme is legally valid and protected by article 20 of the Spanish Constitution and the Mortgage Act. Stephen Dewsnip and Mark Coutanche, once at the forefront of N.M. Rothschild & Sons in Guernsey, were responsible for selling over 100 tax-evading schemes to mostly British pensioners. Alerted by the scam, and not the least the loss of their investments, victims of the Credit Select Series sham product filed a criminal complaint in Denia in 2011. Shortly after, Stephen Dewsnip and Mark Coutanche were requested to attend the Courts; they were to be interrogated by lawyers representing the claimants, the State Prosecutor and the Judge. What did they do? Avoid receiving service at all costs, even after knowing they were being sought in connection to the Rothschild Equity Release fraud. 3 weeks ago, Stephen Dewsnip attended a hearing in Marbella Courts, as a witness proposed by N.M. Rothschild & Sons in case relating to a civil action brought by a victim. Mr. Dewsnip was very accomodating and happy to assist on this ocassion and help his former employer. But, as it happens, the Denia Courts are still in the search for an address where Mr. Dewsnip, and his pal Coutanche, can be properly summoned. So far, the ‘missing individuals’ have been issued with two “Address and Whereabouts Search Warrants”, failing to turn up. The above orders could be soon replaced by the more annoying “Arrest Warrant” which, as one knows, implies spending time in the nick if and when identified. The lady in the far-right we all know: she is the former Head of Private Banking for ABN AMRO N.V. (Gibraltar) Branch and now Depute Chief Executive Office for SG Hambos Gibraltar. Also, she is the brains behind ABN AMRO’s Gibraltar tax-evading “Equity Release”. The Mediterranean-looking casually-dressed gentleman is Sergio Urnieta López, founding member of Martel & Urnieta, one of two ABN AMRO-appointed law firms that would explain the virtues, advantages and mechanics of the “Equity Release” scheme, from the Spanish perspective. And he is also Claudia’s loving husband. The mission of Martel-Urnieta was simple: sit with ABN AMRO potential customers and explain how they could achieve, legally, the reduction or mitigation of the Spanish Inheritance Tax (ISD). They were also, we believe, commissioned with explaining that ABN AMRO were fully qualfied to operate in Spain, both taking funds from the public (after they had lent them) and investing them, abroad. For providing the above “advice” they would charge the customer 0,5% of the value of the mortgage loan, plus VAT, notwithstanding they represented the “cowboy” bank ABN AMRO N.V. (Gibraltar) Branch at each Notary mortgage signing, with Powers of Attorney granted in Gibraltar. Proof of their involvement can be read here (for client confidentiality reasons, names of ABN AMRO customers have been deleted). Claudia, no need to worry, accusations of nepotism are clearly unfounded, ERVA does not believe that the firm Martel& Urnieta was selected because of family ties…nor we believe that they was a real conflict of interest situation. You could just not make this stuff up. A Gibraltar-based banker approaches the owners of a Malaga countryside boutique rural hotel, both originally from the north of Europe, and shares with them this appalling and fatalistic story that involves an expat, a Spanish unencumbered property (or with a small-ish mortgage), the inevitable life factor other tan taxes (death) and punitive inheritance levies on the designated inheritors that meant they were unable to inherit the family home and consequently, lost it to the Spanish Government. An offshore company, domiciled in Belize, New Zealand or any other tax haven, incorporated by Gibraltar-lawyers recommended by ABN AMRO N.V. (Gibraltar). A loan to the offshore company, for up to almost 3 million Euros, documented under the laws of Gibraltar and guaranteed with a mortgage on the boutique hotel. An investment porfolio, managed by ABN AMRO N.V. (Gibraltar), where the loan capital is to be invested, away from the prying eyes of the Spanish “Hacienda”. A declaration of trust or of ultimate beneficiary owner, in a separate document, kept under lock and key to ensure full anonimity of the ultimate owners of the funds comfortably invested in a tax haven. Upon death, a taylor-made Spanish IHT declaration that records the fictitious mortgage as a deductible debt. And of course, no mention of the loan capital sitting with ABN AMRO N.V. (Gibraltar), in the name of an offshore company which incorporation was fully recommended, accepted and endorsed by the bank. We are sure you don’t need more to establish that this is nothing short of a tax defrauding scheme involving customer deception. And judging by the looks of the lady in the picture, she has got to be the culprit! Indeed, Claudia Rolf-Urnieta is the brains behind this “Equity Release” artifice, craft or stratagem devised to wilfully defraud her clients and the Tax Office in Spain, in a single act, in a country where she probably lives and enjoys most of her non-working time, and, most fascinating, borrows a surname from: Urnieta.